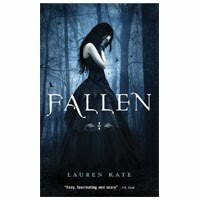 Lauren Kate has joined two of my favorite themes, soul mates and fallen angels, in her new series kick-off Fallen. (I've mentioned before that I have a weak spot for fallen angels and I could not be happier that it's an ever-expanding sub genre of fantasy YA novels.) The book starts off with plenty of intrigue and mystery which just keeps leading to more and more mystery as the story progresses. For every question answered a new one appears, but not in an annoying way. Kate manages to keep you interested even though there are tons of new loose ends to tie up in the second book Torment, out in late September. The main characters are vague enough that you can jump into the scene, as opposed to jumping off the page themselves. I think both styles have merit but I think its personal preference to which is better. ;) Kate also did a great job of making me care about the characters by showing their vulnerabilities and short comings. No one is perfect... not even angels. The subject matter also manages to stay on topic (ya know, about angels) without becoming grossly over-religious. The mythology can exist without the over-tones that put off many audiences and Kate did a wonderful job with that. Kate spent a lot of time building a world for her characters and it seems like they wont be living in that world anymore in the second book. I'm not sure how this will play out or if it will even matter, but it seems like a shame to have taken so much time creating something to abandon it in the end. However, the series seems very well planned out. Sometimes it seems like one book was written and then the publisher asked for a series. I don't get that feeling with Fallen and I definitely look forward to reading the next book soon! With Leigh Russell's Cut Short being shortlisted for the internationally prestigious Crime Writers' Association 2010 John Creasey New Blood Dagger Award , we've decided to hold a wonderful competition where you can win a copy of Cut Short AND an autographed Road Closed (sequel to Cut Short). We will announce the winner 8th August! POSSIBLE SPOILER ALERTS WITHIN THIS REVIEW! If you haven't read Shiver by Maggie Stiefvater, this review may or may not be good for you. Just a warning before we move on. We left off where we were in Shiver. It was a happy ending in that book. Girl meets wolf. Wolf turns into boy who loves girl. Girl loves boy back. Neither of them want him being a wolf anymore. They find a cure, he doesn't die, the end. See? Happy ending. Linger goes over ground that gets a little deeper into our characters Grace and Sam with also covering the mysterious rock star hottie, Cole and the uppity up Isabel. Sam and Grace are together. No more wolfing out for Sam. No more almost getting shot by Isabel's father when he's a wolf. None of that whatsoever. But can it all really be true? Is it where it will all end? Just the normal fairytale ending for Grace and Sam? Not when Cole makes his appearance and wants to be a wolf. He is just dying to get out of his human skin and shift, but there is something wrong. He can't. He's reckless and he wants to do that in his wolf suit. Isabel, well, she's just Isabel. One of the favorite parts for me in this story was Cole. He added more rebellion and a new face with unknowns into the story. For most of the story I thought he was just a crazy rock star drug addict that needed his head screwed on again, but in the correct direction when it was done. However, as I read more, I liked him more. He seemed better, more conscious of his decisions and the roads he took and how he got to where he was at that point. He didn't seem so whiny, but more longing to be the wolf he wanted to be. Cole was a bit more feral than the rest of the characters in the story--although Isabel is close to being feral without being a wolf at all. We learned to love Sam and Grace in the last story. However in this one, I still loved Sam and Grace albeit Grace was growing roots in rebellion against everything she was and her parents, and Sam, well, he was the same Sam from before. Cute, shaggy hair, song writing, shy Sam. The last book just made me hate Isabel. I mean, REALLY HATE HER! She is not one of my favorite characters written (up there with Catherine Linton--the first one--from Wuthering Heights). In Linger, though, we actually see where she comes from. What her family life is like and how she copes without her brother when he died. I gained more sympathy for her character and could see a bit more--not entirely and I believe that was on purpose--of who Isabel really was and why she chooses to cope with her life the way she does in her attitude toward others. Maggie Stiefvater created these characters and I do love them all. Like I said, Cole is my favorite more than Sam now at this point. But I still love them all. I feel as if when I am reading them and their story that they are just in the room with me acting it out for me to watch. They seem so real through Maggie's poetic lyrics from Sam and even her writing has a poetic edge to it. It's a nice, real rhythm that she brings into her characters and into the story. Also, she has great one-liners in the story that made me laugh and have to reread them over and over again to keep me laughing. And they never skip a beat and go off tangent in the story. I love that about Maggie's writing. It's never off beat. It may make your heart skip a beat, but she is never ever off that beat. At points, Maggie made me want to cry. I wanted to cry for Grace. I wanted to cry for Sam. For Cole. And for Isabel. Especially Isabel. She's the one that I think needed the hugs and the love more than anyone else in the story. But although Maggie made me want to cry for them all, I didn't. Close, but not there yet. The story on this one compare to Shiver, was much better in the way of parental involvement and showing the relationship that had been severed between Grace and her parents. How much they tried to become part of her life when they realized how serious her and Sam were becoming. And even when Grace starts to have problems of her own without anyone else's help, her parents now step in between her and Sam and really ignite that flame that becomes Grace--The Rebellious. 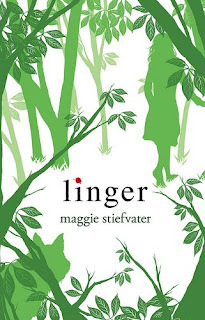 I say if you liked Shiver, Linger will want you to get Forever (the third installment) immediately. Everything in Linger makes you keep on going through the story. I loved this story. It's that kind that makes everything in my own real world feel a little like the world of Mercy Falls, Minnesota for a few more hours after finishing the story. And to want to keep it that way. Kudos to you Maggie Stiefvater for giving me a new world I can escape into! Hey all you book bundlers! Christine Johnson, author of Claire de Lune is holding a fabulous sequel contest for everyone on her blog. If you want to enter hurry over and enter by the 31st. Good luck! An interview with. . .
Leigh Russell, is author of the successful debut book Cut Short (published in June 2009), and sequel Road Closed (published in June 2010). The series centres around D.I. Geraldine Steel, a detective seeking answers to both crimes and her personal life. The first book in the thriller series, Cut Short has received great reviews, being stated as "a stylish, top-of-the-line crime tale, a seamless blending of psychological sophistication and gritty police procedure. And you're just plain going to love DI Geraldine Steel" (JEFFERY DEAVER). When did you realise that you wanted to become a writer? There was no Grand Plan. I had an idea, started writing, and found I couldn’t stop. Six weeks later I’d written about 85,000 words and realised that I’d written a book. Can you tell us where you got the idea for Cut Short and the story behind how you became published? And how your life has changed since its publication? The idea for CUT SHORT came into my head quite by chance. I was walking across my local park on a rainy weekday morning and happened to pass a man on the path. There was no one else in the park I began to speculate about him. Suddenly my imagination was racing. 'What if . . . ?' I thought, and the story of a crime thriller began to form in my mind. The story stayed with me and when I went home I began to write. That was three years ago and I haven’t stopped writing since. I sent my manuscript to a publisher and it’s no secret that I heard from them two weeks later and shortly after that they signed me up for three books. So I became a writer without any planning or forethought. I wrote somewhere that I fell into writing like Alice falling down a rabbit hole. CUT SHORT was a runaway success with three reprints in under a year, ROAD CLOSED has just been published ahead of schedule as WH Smith’s selected it for a June promotion, and I’ve just finished the first draft of DEAD END which will be published in 2011. In addition to writing I’m busy with book promotion. Meeting an author is an experience readers can’t find online, and I’m passionate about supporting real bookshops in this way, so most weekends I’m out in bookshops signing. I also visit libraries and colleges to talk about my writing, and appear at literary festivals, give radio interviews and online interview like this one. So life has been very busy since my first book was published. Of all the characters in Cut Short, which do you think resembles you most? And why? I don’t really think any of my characters resemble me. I’m a workaholic like my detective, but the resemblance ends there. I don’t base any of my characters on people I know, although I suppose they must be composites of people I’ve encountered or read about. How did you create your character Geraldine Steel? Is there anyone you modelled her on? And if they were to make a TV series of your books, who would you think would best portray her? When I started writing, I was fascinated by my killer. The villains are so much more fun to write than the good guys! My editor pointed out that my detective needed to engage my readers’ interest so they would want to follow her through the series, so I worked on Geraldine. She is introduced in CUT SHORT and in ROAD CLOSED readers discover more about her as her story begins to unfold. I think my books would lend themselves very well to being televised as I write in very short chapters, like scenes on television. I do have an idea of who I would like to see playing Geraldine, but if my books were ever televised I doubt if I would have a say in how the series was adapted and produced - and that’s as it should be. Writing books requires a particular set of skills. Writing a screen play and producing a film or television show is quite different. In Cut Short, Geraldine works for the first time with MIT in Woolsmarsh, in the next books will she continue working with this police station and its staff? Geraldine works with the same Murder Investigation Team in ROAD CLOSED and DEAD END. In the fourth book in the series there is going to be a huge change for Geraldine which I think will be quite exciting for readers as well as for the character. In Road Closed, will we see more of Geraldine’s personal life/love life? Specifically in Cut Short we see that Ian Peterson seems to be protective of Geraldine, will there be hints of more between these two in the future? ROAD CLOSED reveals more about Geraldine with a story line that develops further in DEAD END. I gave my first talk shortly after CUT SHORT came out. At that point I had written Ian Peterson out of the series and introduced a new sergeant in ROAD CLOSED. That first audience had read CUT SHORT and they all said they liked the character of Peterson and wanted to see how his working relationship with Geraldine was going to develop. In response to their comments I wrote Peterson back in and he’s now in ROAD CLOSED and DEAD END. I like the idea of this interaction with my readers. Perhaps you can tell us a bit about Cut Short’s sequel ‘Road Closed’? Geraldine’s character is brought out more in ROAD CLOSED but it’s hard to tell you about it without giving too much away. I can tell you what the early reviews have been saying about ROAD CLOSED: “tense and gripping... well-written and absorbing right from the get-go, with just the right amount of guess-work for the reader.” (Eurocrime) “a gripping, fast-paced read, pulling you in from the very first tense page and keeping you captivated right to the end with its refreshingly compelling and original narrative” (New York Journal of Books, reviewed by award winning author Sam Millar) “This novel keeps you guessing until the end and packs some powerful surprises” (Bookersatz) So I think it’s fair to say that it’s a gripping and exciting plot. But I hope you’ll read and make up your own mind about it. Do you have any tips or suggestions for aspiring [crime] writers? I always give the same three pieces of advice to aspiring writers: Work hard, be brave, and be lucky. The more you write the better your writing will become, so keep writing, and don’t be put off by rejections and don’t take them personally. Agents can receive as many as 50 submissions in an average day so they genuinely can’t give much time to any manuscript, and most publishers won’t even look at unsolicited submissions. Being published is a thrill, but the real buzz is writing. So my final piece of advice is: write because you love writing. Anything else is secondary. Thank you very much for interviewing me here, with such interesting questions. I hope this interview has been helpful, it was wonderful to interview Leigh Russell, who has been kind enough to offer signed copy of her new book ROAD CLOSED for a COMPETITION here on Book Bundle. . . stay tuned I shall be posting about how to enter later this week! There's a contest going on right exclusively for Book Bloggers! That means we can enter! How exciting is this? Way exciting. Christine Johnson is the author of Claire de Lune. It is a newly released book this year, May 2010, and is now on my "to be read" list. I'll be reviewing it in a few weeks as it should be coming to me in the next week or so. She is doing a special contest on her blog right now and any book blogger can enter and the more entries, the bigger and cooler the prize package is. 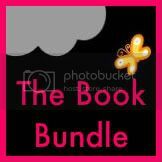 Go to Christine Johnson Book Blog to enter. To those of you who do enter...Good Luck! There are three things that could make you pick up this book. 1) You like science fiction. 2) You love The Hunger Games and need a "filler" book while waiting for Mockingjay to be released. 3) You like cliffhangers that make you go, "WHAT THE FREAK? Hold on there for a second." But you don't get an explanation, you just have to wait until the next book comes out. My biggest reason to pick up this book because it was a book one of my friends on GoodReads.com had read and recommended. I couldn't say no. I'm waiting so patiently (please hit that it is hard to write sarcasm) for Mockingjay and I did need a filler story that would pump me up for it. I was right. It was a great filler story that pumped me up for the release of the new Hunger Games book, but I was also so stupidly wrong that it would just be that, a "filler" book. The Maze Runner is a great science fiction book that follows, Thomas, as he shows up in a place he's never been and knows nothing but his first name. All known details of whatever memories he has are wiped clean. No faces are remembered, no names. All he knows is that he is Thomas. When he shows up in the Box, he is told by the other boys that there is always one boy a month for the past two years sent up through to the Glade. Supplies are sent the same way, but they survive how best they can with farming their own crops, slaughtering their own animals and living a simple life until they find a way out of the Maze. 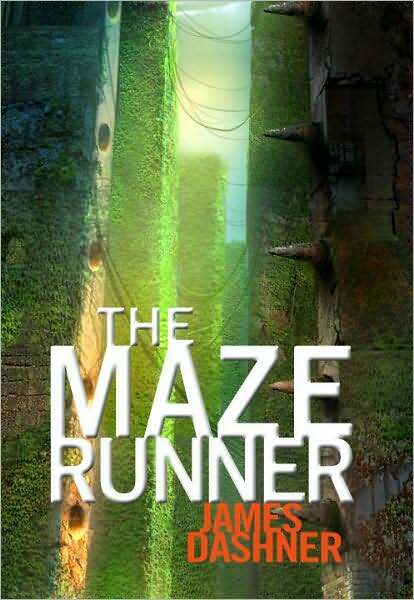 Everyone has a job in the Glade and the one Thomas wants more than anything is to be a Runner. He wants to find the way out of the Maze. He's only there in the Glade for one day when the Box sends up a girl. The only girl in the Glade. With her comes a mysterious note and warning that scares everyone and really makes Thomas want to get out more than ever before. This book really gave me the chills in spots, and held my attention through the whole story. The author, James Dashner, created a new way of speaking, and a new way of community with this set of boys that live in the Glade. The environment is eerie at best times and darn right scary other times. I loved the set up of everything in this story and how everything in turn winds its' way through and all connects later on. Thomas, the main character, is amazingly stubborn, stupid, but also very much a leader in this story. We join him from the very first sentence when he wakes up in the Box and joins the Gladers in their world and community that is center to the Maze. He is tortured, attacked, beaten, stung, and just plain old worn out as we watch him learn the ways of the Gladers. For a main character, I love how he is. His personality is stubborn, but enduring. A quality that is good in a hero of a story. Now, if you like cliffhangers, you won't be disappointed with this book. It will leave you wanting more and wanting to know where it will lead you on your next journey. See, I like cliffhangers, just so I can speculate on what may or may not happen next. It gives me hope that the next story will be better than the first. Most stories I have had that expectation and they fill that void you can get from thirsting for more from the plot. I believe that the next book to The Maze Runner will do that for me as well. The Scorch Trials is the next book coming out October 12, 2010 by James Dashner. Personally, I already have it on hold at the library.